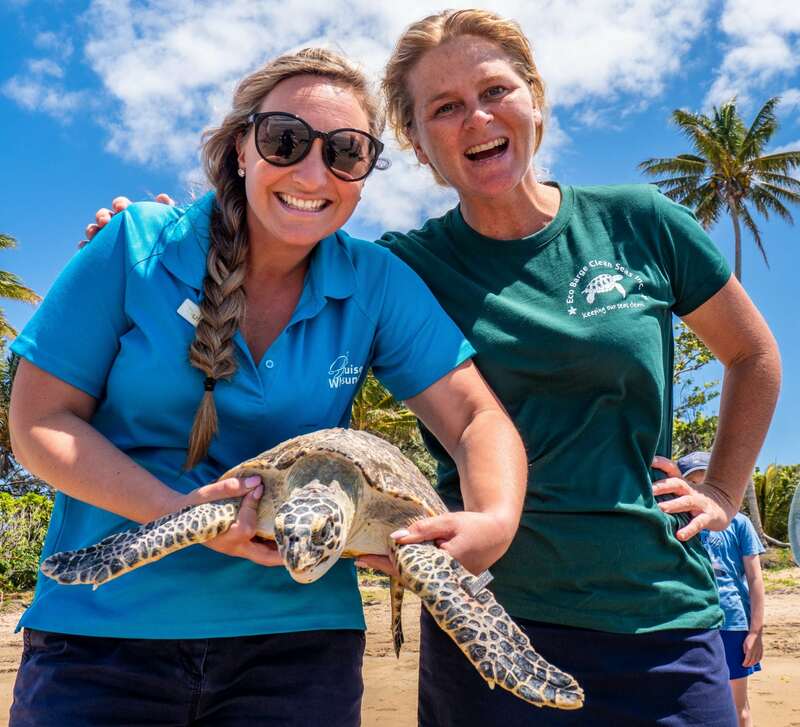 Releasing Barnacle Bill | Eco Barge Clean Seas Inc.
On Tuesday 25th September, Barnacle Bill, a critically endangered Hawksbill turtle was released back into the ocean after 2 months in recovery at the Whitsunday Turtle Rescue Centre. He came into care very malnourished with a heavy barnacle and algae load. After lots of TLC from our turtle carers, Bill made a full recovery. Thanks to our partner Cruise Whitsundays and Mark Fitz Photography for sharing this amazing release with us and creating this awesome video.